Alex Davis | College of Marin | SS: Alex takes home the top honors this week, after another week of excellence at the plate. The Mariners’ short stop has gone 12 for his last 24 with 8 Runs scored, 6 Doubles, 12 RBI, and 2 SB and is sporting a scorching-hot .421 AVG on the season. College of Marin currently has an impressive 14-7 overall record this season, and Davis will look to continue leading the offense to further success. 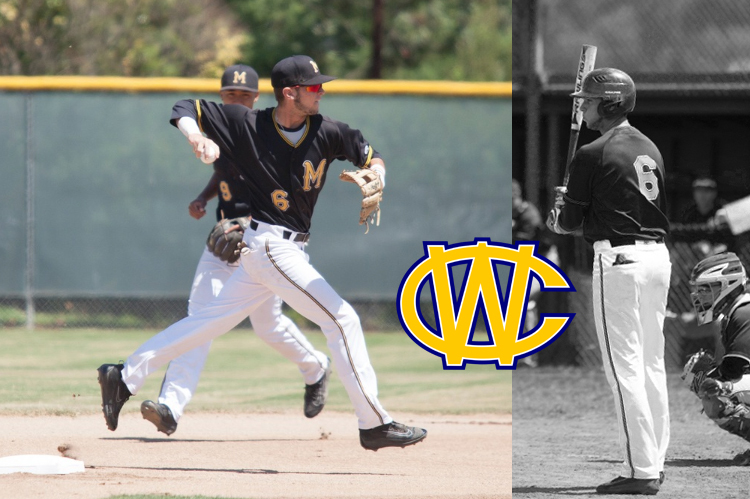 Dominic Burke | College of Marin | RHP / 3B: Long-time California Warrior and younger brother of COM Coach and California Warriors Director of Baseball Operations Ryan Burke, Dominic had himself his strongest outing of the season this week against Contra Costa. Burke tossed 7 Innings of 1-Run ball with 2 K’s and 1 BB, giving his offense plenty of room to coast to an eventual 13-2 Win. Paul Kunst | University of San Diego | UTIL: This week Kunst continued proving himself to be one of the top contributors in the USD lineup, going 4 for 11 with a Run scored, 2 RBI, a Double, and a Stolen Base. His season Avg is hovering just below the .300 mark at .294 with 13 Runs, 7 RBI, and he is 3 for 3 in steal attempts. Nick Kennison | Lewis & Clark University | RHP: The freshman hurler went 7 Innings against Linfield, marking the longest start of his college career. Nick gave up only 2 Earned Runs while collecting 4 K’s and walking none.